I'm sure he will mate. Taken with a iphone6 nothing special done to them other than the standard editing software. I have been using the car so lots of round town driving over the last few weeks and the local village shell garage know me by name now I have been back so much. So I am in Southend on sea in a premier inn after a long day of fettling and tweeking with bob and lee the car is strapped down waiting for more ! (full review coming......... ) tomorrow should bring so interesting results ! Oh forgot to add ! Blackadder and a good red wine is essential on any adventure! Well it was and here's what happened. 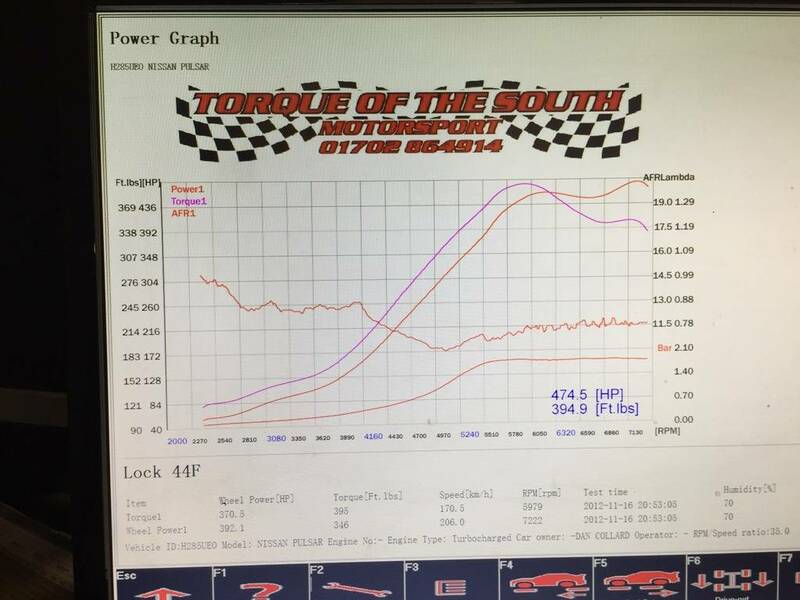 SO my time at Torque of the South. Spoke with Bob late on Thursday the 10th to confirm about coming down to continue mapping my R . now there was a issue with the dyno that was not yet fixed but he was hoping to have someone look at it in the morning, so if it was not fixed the we could maybe do a road tune to get her running better as it really was very poor to drive and was only good at crusing on at low load and low revs. So it was agreed that I was to come to Bobs in the morning and we would see how things would pan out. So the drive down was steady and uneventful. first on the list was to give Lee and Bob some booze for all the hard work hey put in last time . if you read back………………. Now the dyno has been out of play for a few weeks and the aftersales service from what I am told is poor and that is being modest . Bob finally got the chap to sort the issue remotely and after a few quick tests on a car that was stuck on there all seemed good! ( faulty usb to dvi lead) anyway. This soon picked up the afternoon. it looks like we are going to be tuning the car tonight.! So the checks on my car started . oil changed and all good. 10w/50 fully synthetic. Plugs cleaned and gapped . home brew adjustable fuel pressure regulator ditched in favour of a stock number. We then removed the dizzy cap only to find that the centre electrod had been ground to a powder and the rotter arm had arced / and worn the insides of the cap to nothing. ! This would account for my miss fire problem. I felt like a right t**t for not picking this up ( credit to lee for finding it) oh well. then on with tightening the boost hoses down . compression looked ok and stable if not a little lower than ideal but everything was in the green. So strapped her down and Bob began to look at the setting on the Power FC Pro . We noticed that the injector map had been royally messed around with and all Bobs past settings had been levelled off and the entire map was very green and very very rich. Now I can say it was not me as I have no idea how to do this and it was not Bob. Anyway I am not pointing the finger and we just had to get on with it but this meant the injector map needed redoing from scratch.!!! So from 1300 to 2000 ish bob was in the hot seat tweaking the numbers and doing little runs. We had hit the clock and Bob had to go leaving me in a predicament . Option A untether the car and go home ( the mapp was not really usable) or option B stay over in a hotel. So you guessed which I went for. Much to the disapproval of the good lady. So bob ran me to a hotel in his GTR ! A very nice car with very smooth delivery . Premier inn a good red and lots of Blackadder I was out . Next day. Bob picks me up and over to the workshop . Lee greets us with a brew and has everything set so we can just jump in. The hours pass by . The fuel goes down the the bum gets numb the the questions are asked the maps are starting to form. The runs are starting to happen. ! The drama starts as the sun goes down and we are into the evening. Now I will have to point out that Bob is incredibly patient and was very very detailed with every area of this map. So figures : i cant rember the torque but it was 366bhp @ 1 bar and this was waste gate pressure. Now after messing with the gain we got the power to come in strong and a lot earlier So happy result. So more messing with the map and the time is now 16hr or so that have gone to the mapping alone . Next add some boost. So the aim is for the max safe boost , we started to hit issues when we reached 1.5 bar so after a bit of thinking we changed the plugs and brought the gap down to 0.6mm as we think we had spark blow out. . this did fix the issue and we were back on. So time to turn up 1.55 1.6 and all is ok and stable . a few more tweeksa to the map. 1.65 and my heart is starting to go. Then a run to 1.75 and my god the stress horrible. a last run with a bit more gain added and Christ it hit boost so fast. 1.75 BAR and held the level all the way to the end. And our safe figure was 475 bhp and 394 lb/ft . now at this point I was more than happy and after bob spending 18 plus hours mapping this thing I was over the moon and happy to call it a day. we only blew one hose off over the day and that was when we spiked at 1.85bar. so we double clamped it! So I am one very happy and proud R owner. The car is amazing. 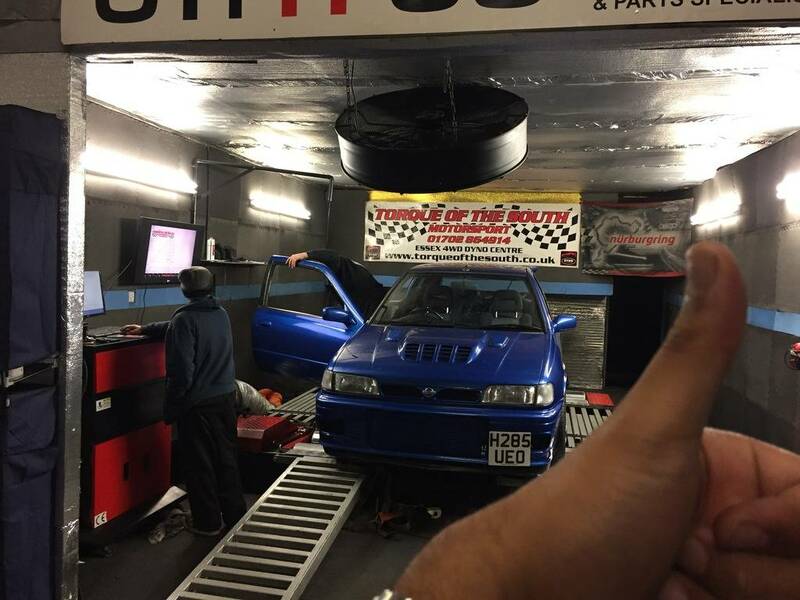 We did a dyno drive and it was so nice and smooth. 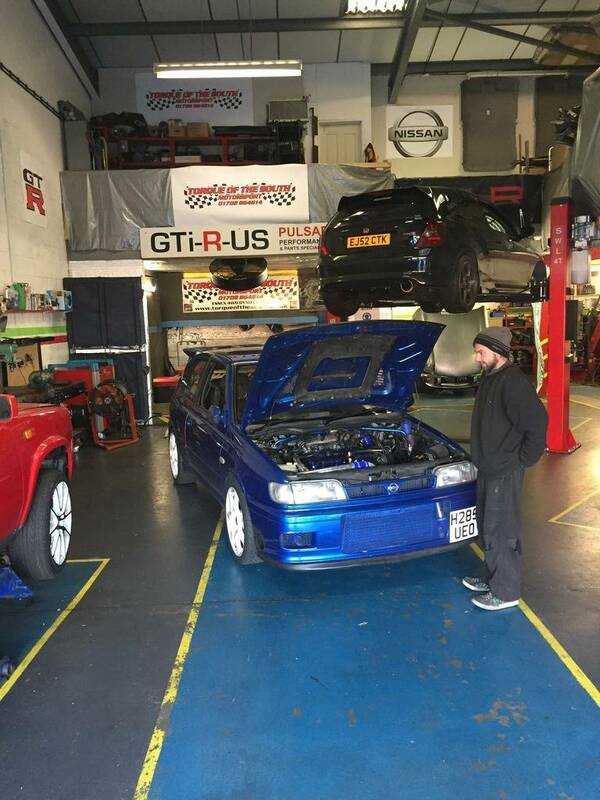 Now bob said " as its your car Dan I won’t start to push it " but Bob was curious to see what we could get if we pushed on and I am also interested to see what we can get but this is plenty for now . I want a safe car that I can use to drive to Scotland and then race on a track if I choose. I want to retain some reliability so who knows what we could have pushed. So after a thank you and good night I had the joy of driving her back to Leicester at 10PM and there was nothing on the motorway. When I hit the m1 and I knew I was nearing home I started to play with my own boost setting and finally settled for 1.3 bar and this was it . I can say I am very please with the outcome Bob you have truly excelled this time and I cant thank you enough for how you have transformed this car! It runs like a dream ! Next jobs. Find some good street shocks as mine are shagged and also fit the new dash. That is truly awesome mate! Loved the vid, played it loads of times. Your R sounds so sweet. Also a big nod to Bob, again for going above and beyond the call duty, he really put the hours into this one. The only thing to add is upping the boost to achieve 475 might be pushing the limits of a lot of components so thats your decision and responsibilty, not Bobs if something happens in the future. I would gradually build up the miles at the higher boost to help run in the parts at their higher stresses. But no risk, no fun. Cheers chaps . I am very happy with her now. Yes I fully get that it I break it in anyway under any load I am fully responsible . I think I meant that 475 BHP is safer than maxing everything out to reach 575. As I set it to 1.3 bar that is more than fast enough. 1bar for day to day driving . As this will be my daily I will be treating her very well. I'm always open to recommendations so what supporting modifications would people do next? Cheers for the good feedback Dan and I'm pleased she all ran well on your journey back. As you said......we had a few issues that needed sorting prior to getting the car on the dyno including the dyno itself so in actual fact it was gone 6 before we had her on the dyno and started looking at the map (which had changed hugely since the last time and not for the good lol) but we both have an idea what had happened there :suspect but just had to crack on and rewrite a new map which I can't do a half job on even though it takes a long time to do a proper tailored scaled map but as you can see the way the car drives & a accelerates from any load makes it all worth the wait. When we road tested the car at the end in the wet the look on your face when I put my foot down is what makes my job all worth while, the thing pulls so hard from even a low rpm and that's something you don't often get with the old style 3076 so I'm chuffed with what we've achieved and more importantly that your happy with the way she now performs. 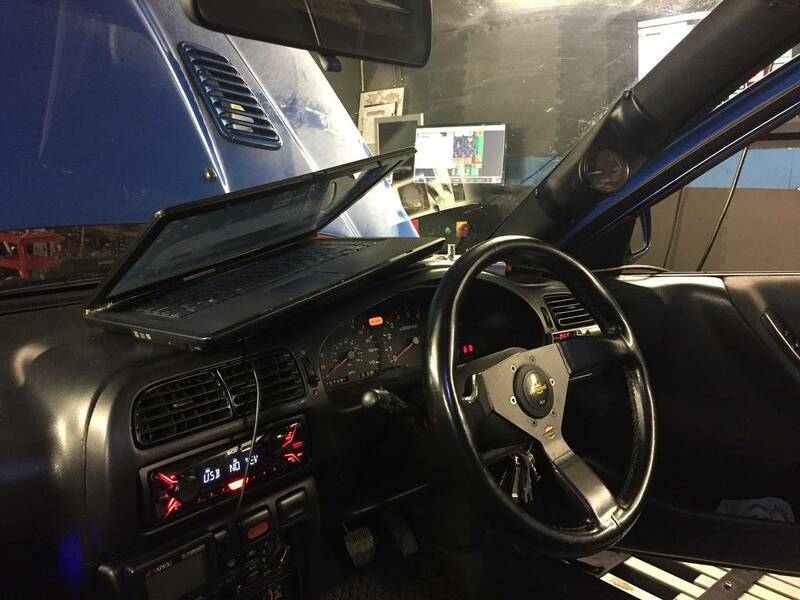 For the record I reckon that the car would have made anywhere between 500-550bhp if I had pushed for more ignition and boost, but get used to what you've got first as the car will be a beast when you summon the courage to drive her at the 1.7bar she's currently mapped to. Thanks Bob , I am so happy with the way it drives she pulls like a train ! When I am happy and confident with her and the power delivery I will come down and we can see if we can push more from it. As you mentioned the pipes are being lagged this week and I am looking for a new set of good shocks. Wideband will also be on the list . Please feel free to recommend a good one. I wouldn't go crazy chasing power but perhaps a further tweak in future to get over 500hp wouldn't hurt, ignition may need reviewing if upping boost much more . Indeed worth putting some effort & money in suspension as an area that can make massive difference, be sensible with it if mainly road use. Have fun and enjoy it . Thanks Mr B . I find everything gtir very consuming . it is great to read and research all the different options and opinions and see what other folk are doing . There are some very interesting reads on this forum and some talented enthusiasts . I now see how chasing numbers can be addictive but I will turn my attentions to adding better suspension Shocks , looking for a wideband that has a square small display and mainly enjoy driving the car . Hi nomad, the first one you linked is perfect! One for the xmas list. I have had a afternoon out on the road and my confidence is building quickly. I have a question for the technical guys. When the car is under load on boost above 0.8 bar and in a high gear , then I let off the gas the wastegate spring flutters / bounces and the car shudders violently.it feels like it can't dump the air out fast enough . I hope this makes sense. I adjusted the bov to its max opening level( HKS ssqv) and this seems to have helped. I wondered if anyone here had the same problem . The only way to stop this is to put the clutch in and let the boost drop. 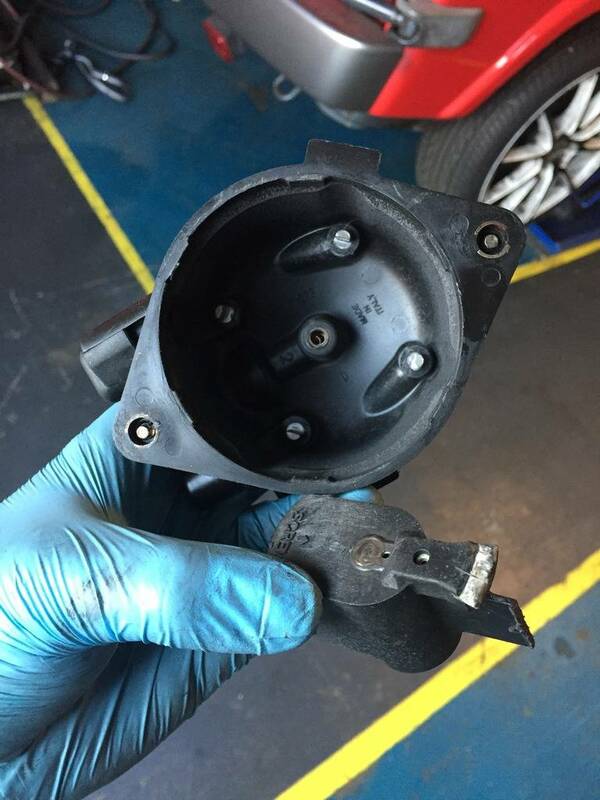 The turbo has the anti surge inlet housing. The boost controller is a gizmo number. The base waste gate pressure is 0.95 bar. Will reducing the wastegate spring and upping the duty help? Changing the bov for something better? It's only minor but I want to sort it out. Is it that the bov can't get the air out fast enough ? Mr b your thoughts would be muchly appreciated . After driving around and getting to max boost more frequently and getting use to the delivery I hate to say but ............ I want more . I think this will end badly . Maybe I should just buy a fast car. But there is no fun in that. Bob can we book in another session in the new year. mine does something a little bit similar under aggressive driving. Might be just a fact of life if your pushing big boost. judder is not something you should have live with but something that needs adjustment . Noise you here is probably purely compressor blade surge I expect. If you holding & building boost easily then wastegate probably okay. Seems tweaking bov seems helping you could look at bov vacuum signal source and location of bov on inlet pipe itself, also a bigger fast acting better flowing valve perhaps. seems you running a standard exhaust manifold, throttles and ignition I wouldn't go mad chasing numbers, you best fine tuning and working out the flaws so everything perfect, If you get a little over 500hp easily great but concentrate on the minor glitches and weak areas of the car and move on slowly enjoying it and with less chance of big expensive problems . 101 Re: Project : Mid life Chrisis. Third time lucky .